Book about the literature group Oulipo in relation to design processes. Four weeks documented with Iphone drawings. Fourteen people, fourteen perspectives on the city Berlin: the book documents two different experiments, in which people visualize their subjective image of the city. Which traditions or conventions determine our eating habits? Is the eating environment playing a part in our eating habits and especially how does the colour of food and its surroundings effect us in our eating decisions? How can I find "doors" to unknown, new social and cultural realities in the urban environment? On my random walks in the city I collected posters. I asked myself where they would lead me, which "worlds" would open up if I followed them? Book about the little island Torcello in the laguna of Venice. I tried to find out how many people still live there – 7, 10, 12? 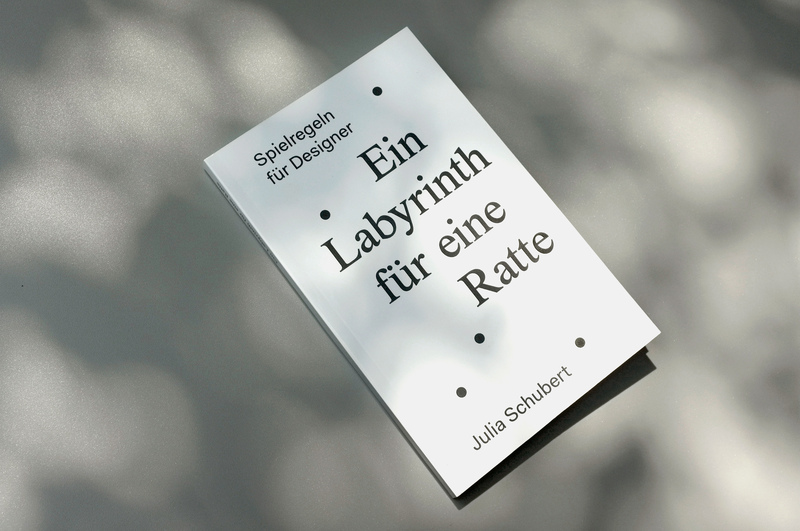 Publication about typography in the urban space for the upcoming event "Schrift/Macht/Welten" in Mainz in May 2012.